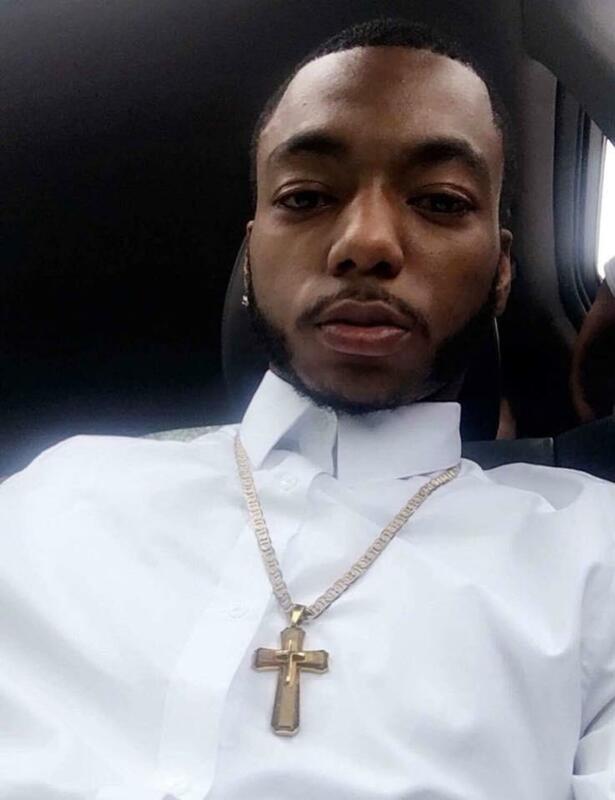 Duane Penick Jr. looked to the hills smiled and was received into the arms of God on December 15, 2018. Duane was born to Duane Penick and Torra Penick (Brunner) on August 22, 1998.As a child Duane enjoyed playing football and played for the Linden Eagles. He played multiple positions on offense and defense. He played his whole little league football career with the Eagles. He also played basketball and was a superstar on the court; he played with the Spartans. He was a true leader on and off the field and court. In his leisure time enjoyed listening to music and rapping, along with playing video games, reading and spending time with family and friends. He attended Linden McKinley & Beechcroft HS. Duane had a smile that would light up a room. At the time of his passing he was seeking to become a professional barber.Duane was preceded in death by grandmother, Paula Brunner; great great grandmother, Ollie B Newsome; great grandparents, Conchita and Paul Brunner; and, uncle, Kenneth Brunner.Duane leaves to cherish his memory mother, Torra Penick; father, Duane Penick; brother, Torian Penick; sisters, Mariah (Kris Goree), Deyandra “Nikki” and Dalaysa Penick; step mother, Kenyetta Draughon; aunts, Renee (Alphonso Woody), Darnice (Albert Powell), Roberta, Kellen, Corrine (Sherwood Brown) Brunner, Anisha Carter (Andre Mitchell), Jewlynn Shepherd, Keyanna Fonza (Leslie), Dawn and Carol West, Stephanie Lane (David); uncles, Roger Penick Jr. Jamin Penick, Steve, Artliss, Lazhar, Ricardo (Sophia), Tyrone Brunner and John Michael West; grandmothers, Yvonne West, Pricilla Harris (great grandmother); grandfather, Roger Penick Sr. and Michael West; best friend, Lee Mardis and close cousins, “WooWoo” Brunner and Toriano Keyes; and a host of cousins nieces and nephew that he loved dearly. Visitation 11:00am and Funeral 12:00pm Friday, December 28, 2018 at New Tabernacle Church of Christ, 1548 Wentworth Road. Offer Condolence for the family of Duane Penick Jr.
To the Penick family. My heart is with you and your family at this time of your loss. There is comfort in knowing about God’s promises of the resurrection hope. (Acts 24:15) and (John 5:28,29) In the past God has resurrected humans and He is eager to do it again because He hates death. (Mark 5:41-43) I would like to discuss more with you about God’s promises. Feel free to contact me at (614) 870-2979. Love Your Neighbor Irish J. Richardson. Please call! My deepest condolences to the families of Duane for loss of your very young son. Death is never easy to cope ,because it is God and mankind last enemy,which God also hates.Very soon Death will be eliminated replace with the global resurrection on a paradise earth where suffering illnesses,death,outcries,pain of any kind shall be things of our Past and will not be call to mind. 1Corinthians 15:26;John 5:28,29; Psalm 36:29 Revelations 21:3,4,5. To you both, I offer my sincere condolences. May your son rest in peace. May the support of family and friends be a source of strength and the God of comfort a refuge in your of need. With caring thoughts. I am sorry to hear of the passing of Duane , He was so young. I to loss a sister Robinette at the age of 22 in death . And miss her everyday.But I found hope in the bible and comfort also. Revelation 2:3-4 tells us that God will do away with death forever And John 5:28-29 talks about a resurrection of the dead. Death is not the end of it. To find out more about Paradise from the Bible ,please go to our Wedsite at jw.org. Or e-mail me Jeanette Williams at jeanettewilliams969@yahoo.com for free Bible discussions.